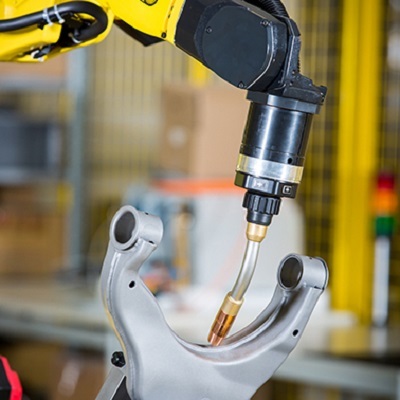 The new generation of Arc Welding robots stands out based on its productivity advancements and rapid integration times. The long arm model of the ARC Mate 100iD series features outstanding axes speed and ultimate precision. 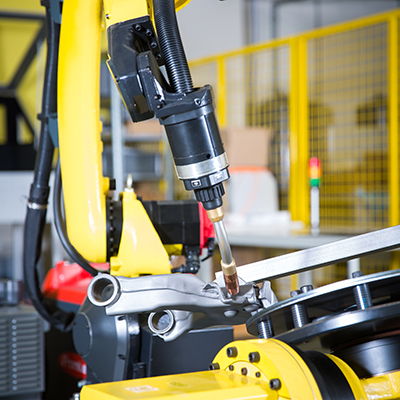 Made specifically for narrow installations, this highly versatile arc welding robot can work on relative large parts thanks to its large horizontal stroke and can also be installed upside down or angle mounted. 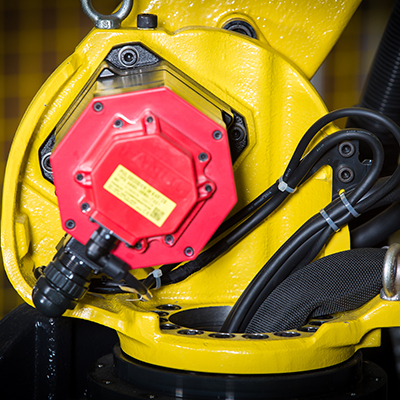 This Arc Welder allows for easy routing of the welding dressout and seam tracking sensor cables throughout the robot. 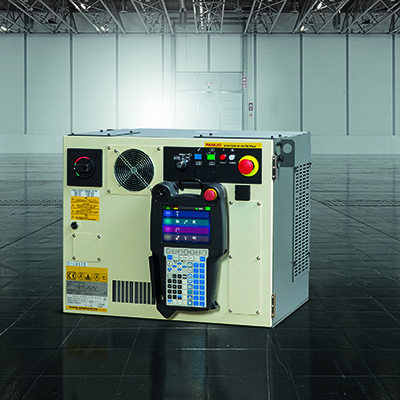 It eliminates robot interference with peripherals and work cell equipment, improving the overall system reliability and ease of use. The torch hosepack as well as additional utilities such as seam tracking sensor cables, vision cables, or air pipes, are routed through its hollow arm and wrist, enabling it to fully articulate to reach narrow spaces in jigs and tight fixtures. 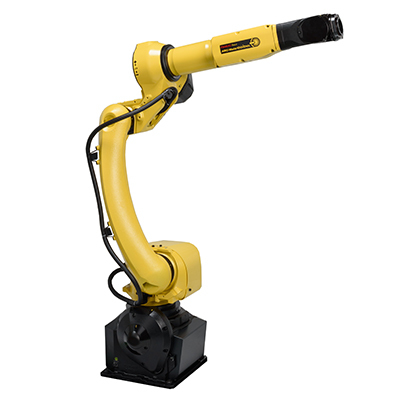 This Arc Welding robot features one of the largest hollow wrist in its class with 57mm. 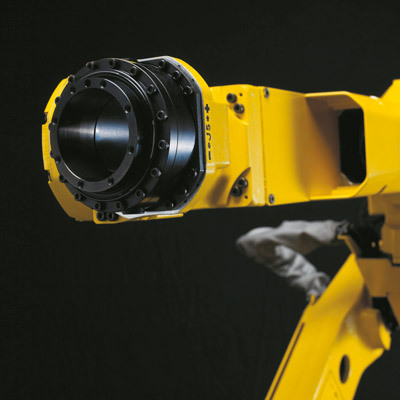 Hollow wrist design routes services through the robot arm to reduce wear and tear on the expensive welding cables. Through-arm cabling also allows cable interference to be simulated offline. 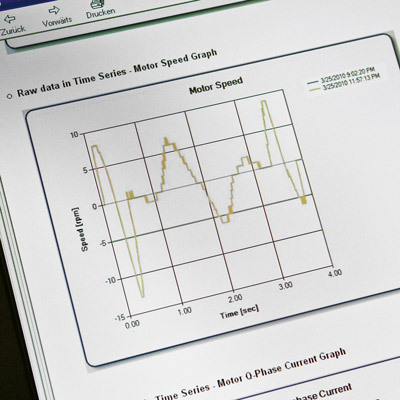 To save time, ROBOGUIDE lets you pre-program robots prior to installation in a cell as well as view and confirm robot trajectories and Dual Check Safety (DCS) parameters before downloading the programs to the real robot.